As we approach the 2015 deadline for the Millennium Development Goals, what does the future hold for international maternal mortality targets? 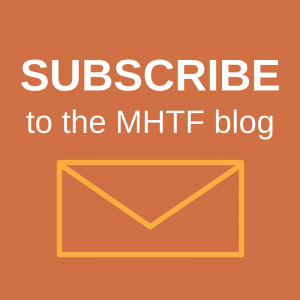 The MHTF is pleased to host a blog series on post-2015 maternal mortality goal setting. Over the next several weeks, we will be featuring responses and reactions to proposed targets from around the world. Please share your thoughts with us! It is no longer news that Nigeria is a peculiar country, a nation with huge human and natural resources, and whose diversity of peoples and internal geographies is a blessing. 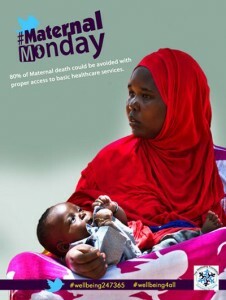 Sadly, it is also not news that the country represents at least 10% of the global maternal mortality burden, with a currently estimated maternal mortality ratio (MMR) of 487 per 100,000 livebirths (as at 2011). However, the well thought-out targets of the Ending Preventable Maternal Mortality (EPMM) Working Group present the country with an unprecedented opportunity to change the tide, improve livelihoods for its women and families, and aim to eliminate preventable maternal mortality within a generation, harnessing the right tools and interventions, at the right scale and quality, as well as building on the success factors in the chase for the Millennium Development Goals (MDGs), including the harnessing of a burgeoning private sector and surging political will for improved health outcomes for women, families, and communities. Based on the EPMM Working Group targets, the proposed MMR target for Nigeria is ‘less than 100 per 100,000 livebirths by 2035, with country-specific milestones, with the expectation that Nigeria will cross one milestone within every 5 year interval.’ For Nigeria, I humbly recommend that the country-specific 5 year interval milestones be context-driven on a State by State basis, given that Nigeria has 36 States, with one Federal Capital Territory (FCT, Abuja). 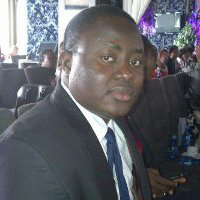 While the federal government provides strategic guidance and robust supportive frameworks for implementation of reproductive, maternal, newborn and child health (RMNCH) interventions for the entire country, the infrastructural and health systems challenges of Nigeria, as well as the resources available to mitigate these challenges, are mainly State-driven. More so, because of the vast population and heterogeneity of Nigeria, as well as the strategic importance of the country to the attainment of global goals, I wish to strongly recommend that the EPMM Working Group sets State-by-State targets, working in partnership with the Nigerian Federal Ministry of Health, and governments of all the 36+1 States. A State-by-State framework must not shy away from the interconnectedness of States, and the virtual nature of geographic borders, especially because of the very mobile nature of Nigerian women and families, as well as unavoidably shared natural resources, for example. To this end, there should be significant cooperation and sharing of insightful knowledge, under the leadership of the Federal Ministry of Health, and with the assistance of NGOs, CSOs, bilaterals and multilaterals. In this manner, Nigeria presents a window of opportunity to show the world a model that works to eliminate inequities to the last mile, helping to reach global set goals and targets for maternal mortality ratio (MMR) reduction. The adoption, last year, of the Maternal Death Review (MDR) surveillance mechanism, at the National Council on Health (NCH) meeting, marked a watershed in the history of Nigeria, as it demonstrated a readiness for evidence-based policy frameworks that will mitigate Nigeria’s huge maternal mortality burden. This policy adoption is being followed through with full vigour. Even more recently, the Presidential Summit on Universal Health Coverage promises a new guiding light for the elimination of inequities and barriers to access to healthcare, especially at the primary healthcare level, where the key to unleashing tremendously scaled-up interventions, to save the lives of mothers and children, exists. 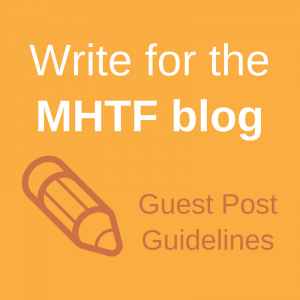 If you would like to submit a guest post for to our ongoing series exploring potential goals for maternal health in the post-MDG development agenda, please contact Natalie Ramm: nramm@hsph.harvard.edu.